Diamond pendants are a staple for anyone's jewellery box as the premiere occasion-wear piece. 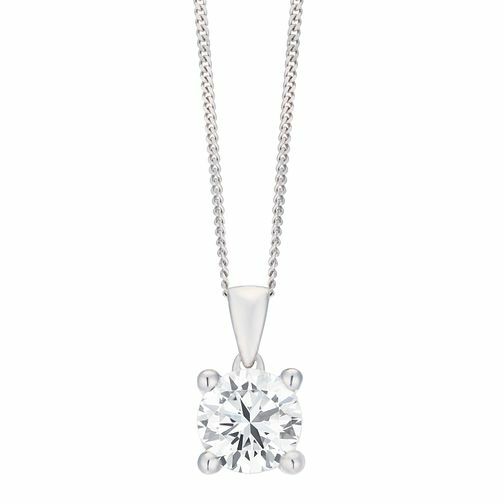 Weighing in at one carat, this pendant features a larger and heavier diamond that gives decidedly more glamour and embellishes overall looks with additional poise. Perfect as a special gift to your partner or as a well-deserved self-reward, these pieces are versatile enough to be worn by everyone to elevate the figure and bring out beautiful shine. The diamond comes with a higher clarity grade of SI2 compared to an I1 with an independent gemological certificate to ensure the colour and clarity grades.